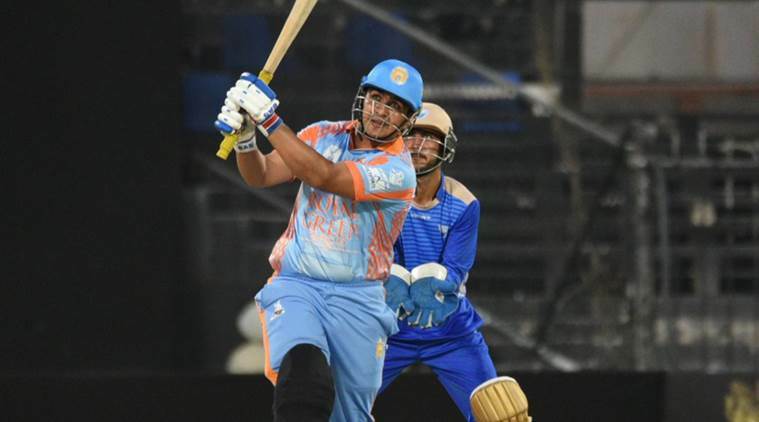 Playing for Kabul Zwanan in the Afghanistan Premier League, 20-year-old Hazratullah Zazai produced a whirlwind 12-ball half-century against the Balkh Legends. Afghanistan batsman Hazratullah Zazai smashed six sixes in an over during an Aghanistan Premier League (APL) T20 match on Sunday. He became only the third batsman to hit six sixes in an over in a Twenty20 match. Playing for Kabul Zwanan, the 20-year-old smashed a 12-ball 50 against the Balkh Legends. It is the first time any player has managed this feat in the APL and also the first in T20s since Yuvraj Singh in 2007. Incidentally, Zazai’s 50 is also the joint fastest in T20 cricket alongside Yuvraj who achieved the feat in the same match as he hit the six sixes. Abdullah Mazari was the bowler who bore the brunt of Hazratullah’s fury. Unlike Stuart Broad in 2007 though, Mazari ended up conceding 37 runs in the over owing to a wide ball. Zazai now joins the Sir Garfield Sobers, Ravi Shastri, Herschelle Gibbs and Yuvraj Singh in being the only batsmen to have hit six sixes in an over in the history of the professional game. Zazai is also only the third player after Yuvraj Singh and Chris Gayle to score a 12-ball half century. Yuvraj had hit six sixes off a Stuart Broad over to move to a 12-ball half-century in the inaugural T20I World Cup in 2007. Hazratullah, Yuvraj and West Indies’ superstar Chris Gayle too has managed a half-century in only 12 balls. However, Hazratullah’s feat came in a losing cause as Kabul Zwanan lost to Balkh Legends by 21 runs, chasing a stiff 245-run target. Gayle had hammered 80 off 48 balls for Balkh Legends and his innings included as many as 10 sixes. His team scored 244 for six in 20 overs while Zwanan managed 223 for seven. “It was a surreal moment for me to perform in front of my idol (Gayle). I was just trying to play my natural game and did not in any way think of outshining anyone,” said Zazai after the match. Worcestershire batsman Ross Whiteley had achieved the feat of hitting six sixes in T20s when he slammed Yorkshire spinner Kark Carver all around the park in a domestic match in 2017.